Unique Mineral is the Himalayan Salt Exporter from Pakistan. They are the top salt dealer in Pakistan. 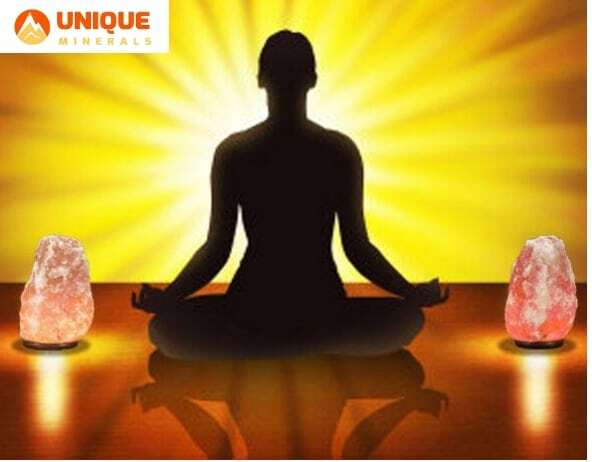 The quality of Unique Mineral Himalayan Salt Lamps is good compare to other salt companies. There salt supply quality is conforming to the international standard. Now, they are leaders of Himalayan Salt Supplier and Himalayan Salt Lamps in Wholesale from Pakistan. Have you ever wondered why people living near sea coasts are less sick? Why, after a holiday at sea, our body heals? Why, after a rest, we are full of strength and energy? After the sea, our children still attend educational institutions for a long time and do not get sick? What is this “magic”? It turns out that this is due to the properties of sea and ocean salt, which is contained in large quantities in the water and air of the seas. There is still salt in the caves, which reduces the multiplication of dangerous bacteria and ionizes the air. Cave salt, which has been deposited for centuries, also has healing properties. It is Salt that has healing effects on our body. Did you draw your attention to the fact that there is never any mold in the salt caves? Why it happens? Due to the fact that they discovered such properties of salt, experts began to look for ways to use salt in medicine and in the treatment of diseases of different nature. The first methods of therapeutic use are the creation of special salt mines. Subsequently, in the conditions of sanatoriums and medical institutions began to produce artificial salt rooms. To date, salt lamps, convenient for home use, have become widespread. The main difference between a salt lamp and a cave is its low salt concentration. Therefore, the salt lamp is usually switched on overnight and placed near, on the bedside table. Salt orange, yellow and red hues. Why is it important that the luminaire you are planning to buy be yellow, orange or red? These shades give the lamp a warm tone when glowing. Warm tones on a subconscious level calm the person. In addition, these salt lamps do not blind the eyes at night, and you can sleep well. Salt gets its shade, due to the high saturation of minerals. Colored salt is especially popular. The most famous spread salt from the Pakistani mine located in the Himalayas. Located in the foothills of the Salt Range, the mine is considered the oldest in South Asia. For centuries, salt was transformed into rock by crystallization. Crystallization occurred from seawater, so salt layers contain impurities of foreign bodies and algae. Due to the formation of such layers, the salt has not even different shades. Salt crystals from the Himalayan field formed more than 300 million years ago. It is Pakistan salt that is famous for its variety of trace elements. 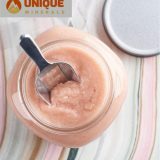 84 trace elements in the composition of the Himalayan salt such as: magnesium, iodine, manganese, iron oxide, selenium, etc. Due to these properties, Himalayan salt is by far the most useful. The crystal structure of salt, which has been subjected to gigantic pressure for millions of years, is also very interesting. Wilhelm Hoefer – Chief Scientist at the Center for Bio-Physical Research in the city of Las Vegas (United States of America) confirmed that the chemical elements in the composition of the Himalayan salt crystals are combined very harmoniously. This allows you to maximize the benefits of the minerals and elements that make up the salt layers. Fresh air – good for your body! Negatively charged ions formed when a salt lamp is heated, naturally form after a thunderstorm. Remember how easy it is to breathe on the street, right after the summer rain. 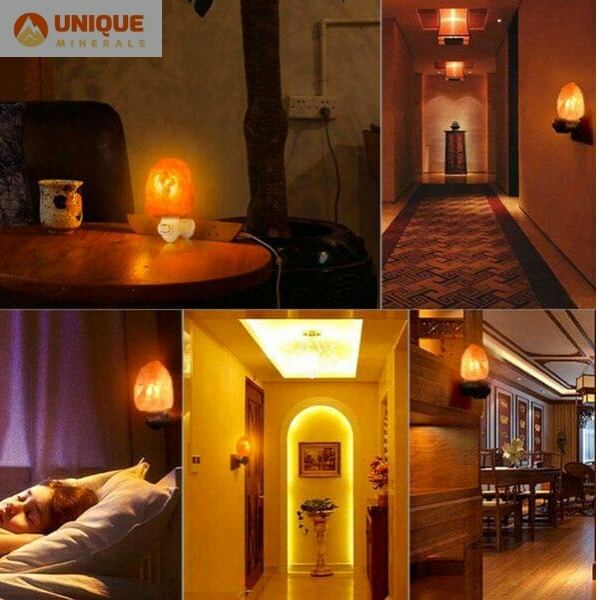 The salt lamp on the basis of a golit, will allow you to feel it, without leaving the house. It has been established that for the normal functioning of the human body, it is necessary that, along with the usual oxygen molecules, negatively charged oxygen ions — the so-called superoxide anion radicals — are present in the air with which it breathes. In nature, the cause of ionization of air are cosmic rays, radioactive elements of the lithosphere and atmosphere, ultraviolet radiation and electrical discharges (thunderstorms). The microflora formed during the operation of the Salt Lamp contributes to a decrease in the activity of inflammatory processes, as well as the reduction of the pathogenic microflora of the respiratory tract, as well as stimulation of the body’s defense mechanisms. In addition, the salt lamp – the ideal nightlight for the children’s room. The first is dim lighting, which does not interfere with your child’s sleep, the second is the useful properties that the lamp has. Pay special attention to size and weight. If you plan to put the lamp on the bedside table, or in a small room, then a Himalayan salt lamp of 2-3 kg will be enough for you. On a room of 30 sq.m. You already need a Himalayan salt lamp 5-7 kg . 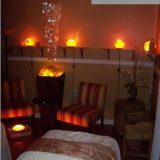 If you have a large room, it is worth considering a large Himalayan salt lamp. For the interior, you can pick up the processed lamps: Bowl , Pyramid , Ball , Drop , Mushroom , Vase, etc. Please note that the original Himalayan salt lamp is not even color. When you turn on the network, on the salt lamp layers of minerals are visible, just as they occur in nature. Only lamps are not even color – guarantee authenticity. Check that the lamp is properly turned on and off. The cartridge should easily go into the wooden stand, the lamp can be easily screwed into the cartridge and burned. The lamp should stand straight, do not stagger. Be sure to pay attention to the fact that the ionization of air around a not large Salt lamp usually amounts to no more than 3 meters. Therefore, if you plan to install the Salt lamp in a large room, then you will need a large lamp and a small lamp or several small lamps. The size and weight of the lamp depends on the level of cleaning and ionization of the air in the room. The larger the surface area of ​​the Salt Lamp, the better its effectiveness. Therefore. more often they buy lamps from a raw piece of salt, they are called rock . Differ in weight 2-3 kg ., 5-7 kg , 7-10 kg , etc. Salt lamps are recommended to be installed in smoking rooms for air purification. Also, salt lamps are installed near electrical and household appliances, special attention is paid to the TV and computer, to eliminate electromagnetic effects. If you want to get a therapeutic effect, you should put the lamp near the bed. In this case, the salt lamp is turned on all night. Due to its red hue, it does not interfere with sleep, and you breathe freely. Most people take care of themselves and the health of their loved ones. Everyone wants fresh air and good microflora in the apartment or house, there were no fungi and various molds that propagate bacteria in themselves, increasing the risks of the disease. Such people have long been using salt lamps. Reviews of these people suggest that the microclimate in residential areas is much better, breathing easier, the level of disease is reduced. For them, the salt lamp is a piece of wildlife. Salt lamp users based on halite reviews write only positive. No side effects and allergies in people, children and animals Salt lamp does not cause. Therefore, contraindications and Himalayan salt – no. In addition, you get a lamp in your home from environmentally friendly, natural material.